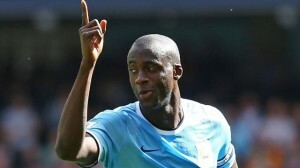 » Weekend of Africans: Boka, Kumbela and Bony insufficient but Yaya lifts City up! Algeria Weekend of Africans: Boka, Kumbela and Bony insufficient but Yaya lifts City up! New weekend full of football in the major 5 in Europe. And as usual, our weekly review will focus on the performance of African internationals. Still many goals but that could not help much their respective clubs. Dominique Kumbela is becoming more and more important in the Bundesliga. At 32, the Congolese concatenates goals. New achievement this weekend against Nuremberg but Braunschweig, lose 1- 2. Led from the 5th minute, Stuttgart was believed to have done the hard equalizing before the break thanks to their Ivorian defender Arthur Boka. But insufficient as Hertha Berlin wins 3 points (2-1). AC Milan can say thank you to their recruits. The Rossoneri found success at Sampdoria 2-0 thanks to 2nd goal in 3 games of Adel Taarabt of Morocco. The Franco -Moroccan Adil Rami also scored. Reims can bite their fingers. The Champagne Club held a good draw in Monaco on Friday until the 95th minute with a murdering goal by Layvin Kurzawa (3-2). Previously conducted twice, Reims was able to return to score thanks to a brace by Congolese Prince Oniangue, the club’s top scorer. The yell of Francis Gillot has had its effects. Bordeaux win again (2-1) against Evian Thonon Gaillard. Senegalese Henri Saivet on corner scored the second goal of the Girondins. Mustapha Yatabaré found the net after a long drought. The top scorer last year in Ligue 2 scored the only goal of the 1-0 win against Nice Guingamp Saturday. Enough to give a breath of fresh air to the club. In the relegation match, no winners but goals galore. 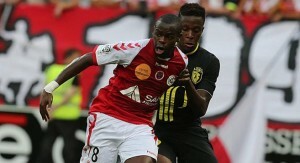 Ghanaian Majeed Waris scored twice for Valenciennes against Sochaux (2-2). Wissam Ben Yedder nearly upstaged the stars of PSG. The Franco -Tunisian scored twice but the club from the French capital was too strong. Final score 4 – 2. Victory of Rennes in the Breton derby Sunday. The Red and Black won 3-0 thanks to first goal by Franco – Cameroonian Paul Georges Ntep. Alexandre Song had never lost with Barca every time he played (31 matches). 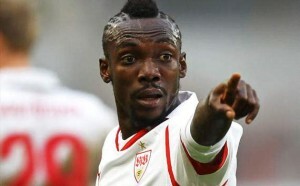 Saturday, the Cameroonian contributed to the defeat of the club with an unfortunate own-goal against Real Sociedad (1-3). He could not do everything alone. Swansea will understand him. Wilfried Bony scored goals but certainly nothing guaranteed success in the end. Illustration in Sunday’s 4-3 defeat to Liverpool despite the Ivoirian’s double strike including a penalty transformed. Yaya Touré was there as usual to save Manchester City. The Ivorian striker was author the osole strike during the painful victory of his side over Stoke City (1-0). Previous post Eden Hazard to PSG? To be exchange with Edinson Cavani? Next post Jason Collins, first gay to play an NBA game!